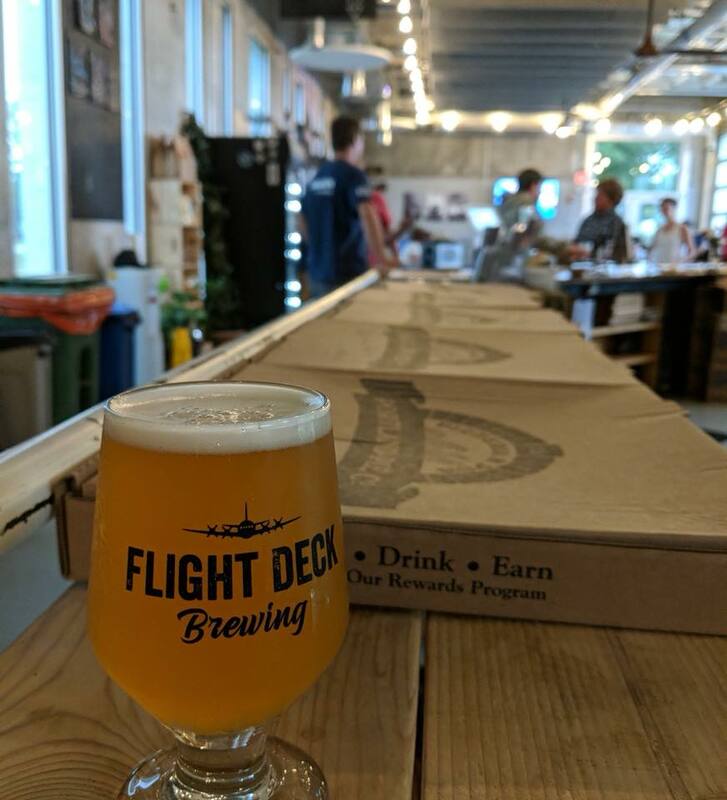 Swing by for a fresh pour, and take a growler or retail bottle home! 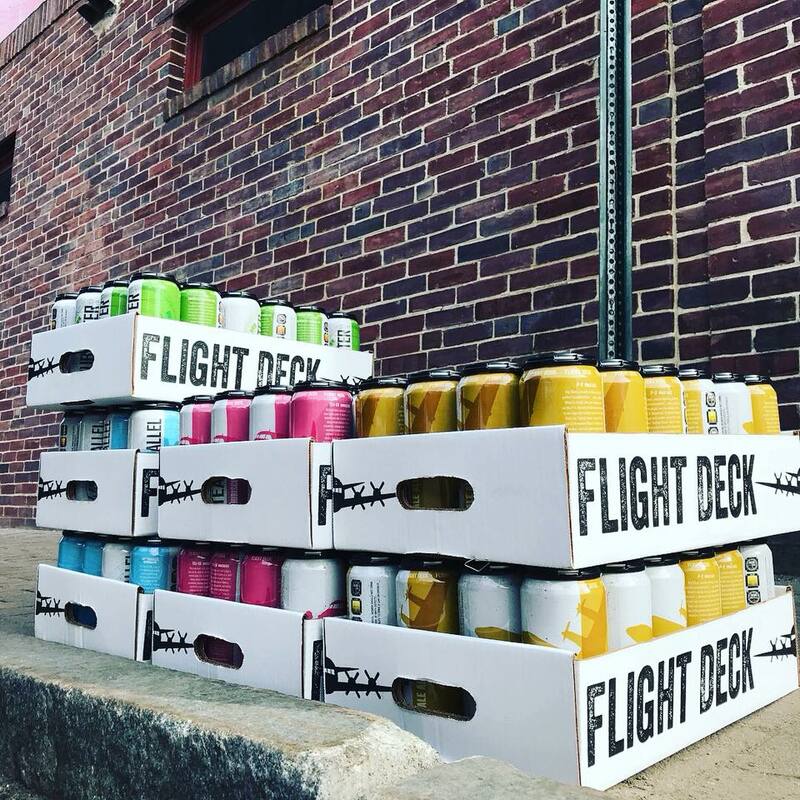 Flight Deck Brewing makes and serves delicious, drinkable beer at its brewery, tasting room & outdoor patio in Brunswick, Maine. 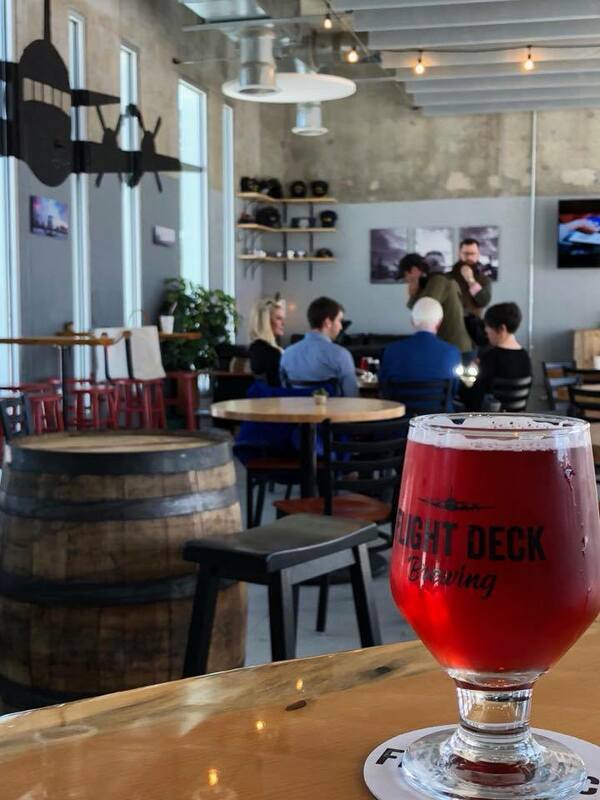 Located in the former Small Arms Range of the Brunswick Naval Air Station (now Brunswick Landing), our unique and welcoming Tasting Room was named "Best in Maine" by Down East Magazine. In the first year of operation, we served 98% of the beer we made in our Tasting Room – and while we're now able to can our beer and distribute to select locations across Maine, focusing on a world-class experience at our brewery remains our primary focus. 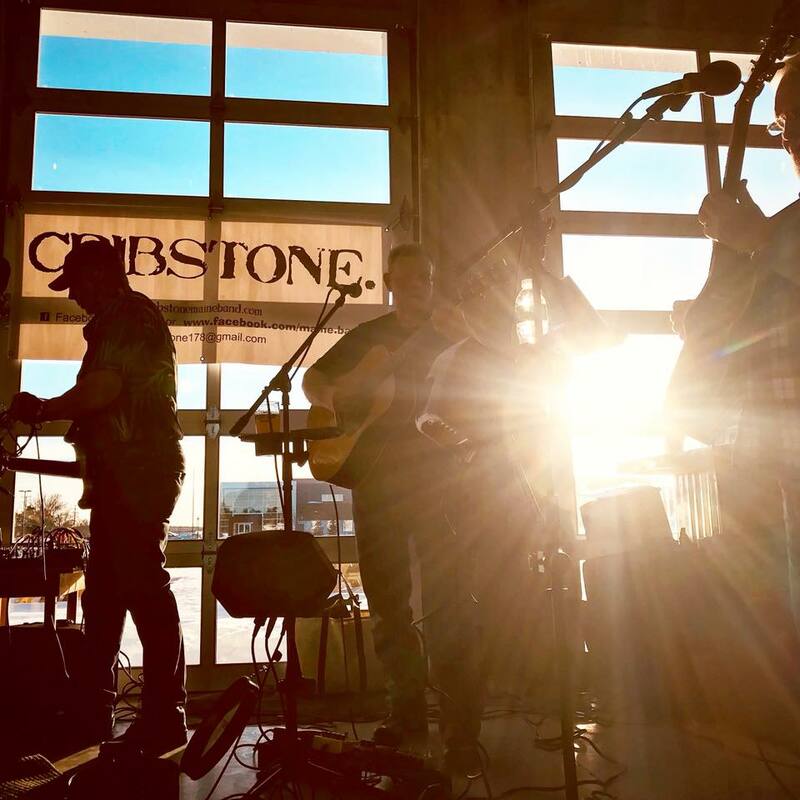 With a constantly evolving tap list, food trucks, regular live music, and plenty of space to hang out with your dog (and/or human kids, too), we hope to see you soon!